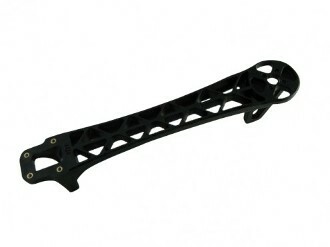 DJI F450 Flame Wheel replacement arm (Black). The DJI F450 Flame Wheel frame arms are built from very strong materials, these F450 arms are made from the ultra strong PA66+30GF material which provides better resistance to damage on hard landings. These arms are supplied in one's, please order the number required. I purchased these parts for my frame on 13/01/2015 arrived aMilano (Italy) on 01/22/2015. material conforms to what appears in the website. Satisfied, unfortunately in this case the shipping costs exceed the cost of the material. Secure and reliable site, recommended.